Sifting fact from folklore has been a challenge. For example it is fact that Thomas II (1764-1824) was jailed twice, once for debt the other for libel to Queen Caroline. It is also fact that he was a newspaper pioneer in the West of England and printed the first English language Bible in the West Country, which he did by instalments in his newspaper. It is fact that he died before his Bible could be completed. The Rev Richard Polwhele historian, friend and backer stated in his History of Cornwall that for all Thomas’ literary and political contributions, and intrigue, little is known of the man himself or the exact origin of the “Flindell” name. On the name, there is much folklore – some plausible, some fanciful – but no hard facts. While I have found frustration in the dead ends, there have been rewards, even in the smallest piece of corroborative detail, but here too there have been traps. In one case what looked by corroborative reporting by other family members proved to be a recasting of singular research without validating source or detail. This is also true of some International Genealogical Index data where I found discrepancies between several researchers. Document what is known about the Flindell Family. Provide a more complete overview of the family’s origins. 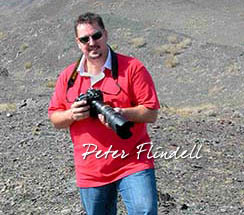 Document the Flindell Family contribution to Western Australia. Where appropriate, reference will be made to other related publications including The Sherwood Papers – A Swan River Story, by Margaret Love (Optima Press 1996). Those who have ventured into genealogy may reflect, “had my ancestors been conscientious with pen and retaining personal documents the task of developing a family genealogy would have been easy”. I also claim blame. I regret that as a 12 year old I did not follow my father advice to write down every word my Grandmother, Jessie Flindell, had to say about her life. As Dad said, “when she dies a great deal of Perth’s and Fremantle’s early history will go with her”. I therefore relied on Aunty Bessie (1910-2008), and Uncles Frank (1920-2008), Jack, and Walter Richard Flindell (1919-2006) my father’s cousin, but this is sometimes third hand information or just delightful anecdotes that have entered family lore. Nevertheless, they have a real contribution, as do others of the wider family and it is my duty to act. My greatest debt for their dedication to saving and recording family history is to Frank and Leonard Flindell and Francy DeGrys great-great granddaughter of Francis Bassett Shenstone Flindell who brought the Flindell family to the Swan River Colony. They did this without the benefit of the Internet and online database resources. I am also indebted to my son Peter, who fired me up to keep my mind active in retirement by undertaking this duty, and for providing the website to disseminate my work. Contribution by way of anecdotes, information or editorial comment will be greatly appreciated.